In the Keeper's Shadow Now in Development! We're officially announcing development of Lonely Egg Studio's first game! 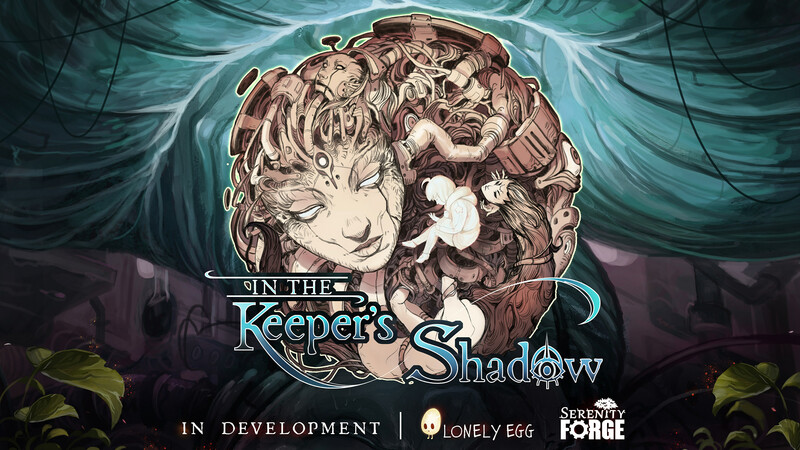 In partnership with Serenity Forge we present In The Keeper's Shadow (ITKS)! In the Keeper's Shadow is an illustrated adventure game of a girl’s journey to find herself. An immersive narrative built on the visionary world of Jessica Fong based on her family's struggle to understand and confront past child abuse. Our studio is excited to work with Serenity Forge because we believe in their team and their studio goal which "aims to create meaningful, value-driven interactive experiences that challenge the way you think. They pride themselves in the care and dedication they put into their work, whether that be their own IPs or those of their collaborators (source)." ITKS and its history hold a special place in our family and community, and we trust Serenity Forge and Lonely Egg collaborators to convey this deeply personal experience. The studio is excited to bring you more updates as development continues~ Keep an eye out for our team members' posts across social media about their involvement in the game and feel free to say hello to them in our studio discord! Lonely Egg aims to foster and develop meaningful games that are artistic and deeply personal; to inspire, connect with, and impact our players. We invest in people; devoted developers that wish to nurture personal growth in each other through strong collaboration, discipline, and experimentation. Due to our recent studio/game dev, I can only accept a select few commissions at a time. Nov 24, 2017 In the Keeper's Shadow Now in Development! Aug 30, 2017 Sacanime Table IP4, Indy Press Zone! Jun 1, 2017 Lonely Egg Studio LLC is Now Public! 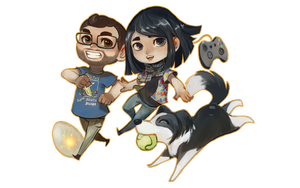 Nov 4, 2016 Extra Life Charity Stream! Sep 1, 2016 Sacanime Table H14! anireal has started a donation pool! she visits to place a lily with faded hands." This was for the Character Design Challenge in October~ Lots of fun! Art & Tea Stream at 6PM Pacific Time today! See you there!